Welcome to flight tracking! Please click on the lens in the radar to start searching. For better performance in the U.K., you can use this flight tracking site. Online flight tracking shows you at any time, where a searched plane is currently located and where it is on the way. So you can track every aircraft and get important information about the flight at a glance. You will be shown an interactive map on Flugradar24.eu, where you can see all the aircraft that are currently near your location. If you hover over one of the airplanes on the map, you will see all information about the flight collected in the info box on the left side. In addition, you can enter any flight number in the search line and see immediately all the data for the desired flight, which you want to track. What data can i see with the help of flight tracking? The live radar shows you all the data for a flight in real time. In addition to the flight number and the airline, you will also be shown the type of aircraft, the departure airport and the destination airport. In addition, you will find in the information area, on the left side a photo of the respective aircraft, as well as in-depth information about the aircraft. So you can find out in seconds, which type of aircraft performs the flight, at what altitude the aircraft is currently and at what speed it is currently on the move! Furthermore, you also have detailed information about the airline that is carrying out the flight you are looking for. No matter what information you are looking for, on the flight radar you will find it! Which advantages does the flight tracking bring me? The flight tracking is of course particularly exciting for all fans of aviation and aircraft crazy! So you can always be fully involved and follow every flight up close. All data is always up to date and shows you the most important information about the flight. But even in special events, the pursuit of aircraft is extremely valuable. 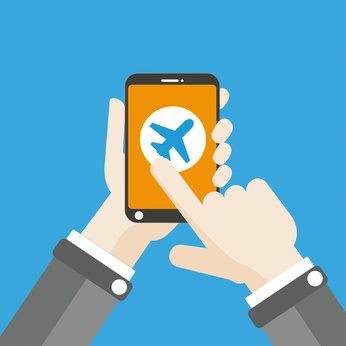 If a flight has been diverted or even an accident has happened, you will see with the help of the aircraft search, within shortest time, where the aircraft is. Did the flight land as planned? Was he diverted and still in the air? With the live aircraft radar you are always up to date. But even when picking up from the airport, the flight tracking can be extremely useful! 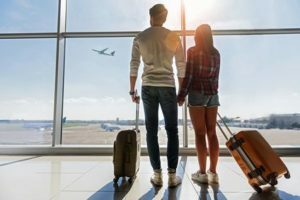 You do not know exactly when your girlfriend or boyfriend will arrive at the airport, or whether the plane has already landed? With the help of the flight tracking, you can see exactly where the plane is currently located. Learn how long it is likely to take to land. The delays are displayed extremely accurately in the radar. That’s why from now on you always know when you need to be at the airport so you do not have to wait unnecessarily! How much does the flight tracking cost me? The best part is that you can use the flight tracking with Flugradar24.eu completely free of charge. Accordingly, you can search for or search for planes on the map as often as you like. As a result, you’ll know exactly which plane has just flown over your head. In addition, you will find this data not only for Germany or Europe, but for the whole world! Which aircraft are currently in New Zealand or how much air traffic is currently over the North Atlantic? On the interactive map of flightradar24 you will find all information!